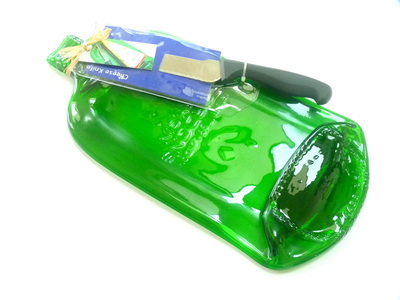 Flattened bottles are a great way to recycle, have your own special bottle flattened, or buy ready made melted bottles. 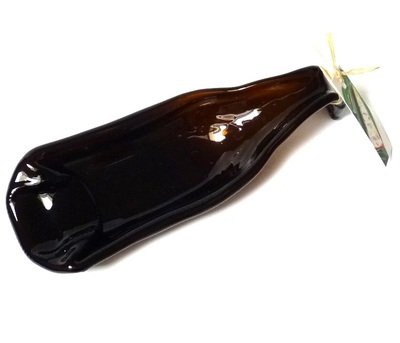 Flat bottles make interesting gifts. I offer a bespoke flattening service through this website. If you have further questions about a purchase or commission please use the 'contact page'. Flat bottles have many uses, cheese boards, snacks like sushi and canapes, or fruit, use as a spoon rest, or slicing lemons for your G&T. 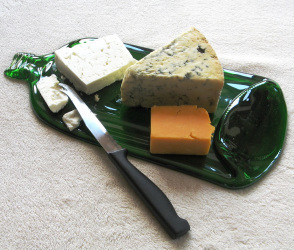 Bottle dishes are great for serving nuts, crisps, olives etc, use for serving olive oil, for dipping bread. I'm constantly finding new uses, keys and loose change, a desk tidy for pens and paper clips, and also by the sink for pan scrubs. 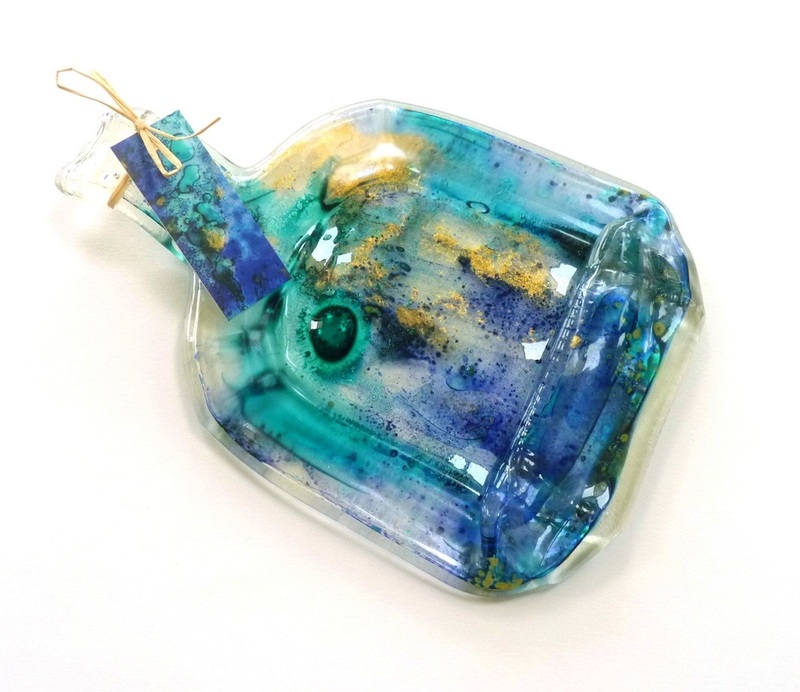 Please use the 'contact us' form to have your own bottles flattened. Enquiries from shops and galleries welcome. "Thank you, it's lovely, and got here just before the weather! Abbie"
"hi - the bottles arrived safely today. brilliantly packed! they are fabulous thank you, and the handwritten card was a really lovely touch Sarah"
"Just wanted to say thank you for posting out the lovely bottle so quickly - we received it a few days ago and it's great so thank you! Lucy"
"I've received my bottle. Absolutely brilliant! Thank you so much for all your help. Jane" "Received the item, it looks great. Its going to make an excellent christmas present! Craig"